When 27-year-old young art dealer Park Myeong-ja opened her gallery in April 1970, the first response she received from people was how fast she would give up and close the shop. It was a time when even the word “gallery” was unfamiliar to most Koreans. “People didn’t know there was such a place where you could view and buy paintings,” Park recalled at a press viewing on April 4. She opened her gallery in the historical and artistic neighborhood Insa-dong, then the center of galleries mainly dealing with traditional Korean paintings and artifacts. She introduced new styles of art to Koreans. Starting with the first exhibition of artist Park Su-geun, a legendary figure in the history of modern Korean art, the gallery chief presented Western-style paintings, especially abstract paintings, which were then quickly emerging on the Korean art scene. In 1975, Park decided to move the gallery to its current location in Samcheong-ro next to Gyeongbokgung Palace in order to accommodate bigger works. “Artist Lee Ung-no told me he needed a bigger exhibition space that could hold his bigger works. Out of the need for a large space, I moved the gallery to this place,” said Park. At the new location, the gallery has hosted exhibitions of young artists, who are now leading figures in the Korean art community. They include Kim Tschang-yeul, known for water drop paintings, and dansaekhwa artists Lee Ufan, Park Seo-bo and Jeong Sang-hwa. Celebrating the 45th anniversary of the gallery this month, Gallery Hyundai brought together the paintings of the artists who have worked with the gallery from the beginning. “The development of Korean abstract art parallels with the history of Gallery Hyundai,” said art historian Song Mi-suk. 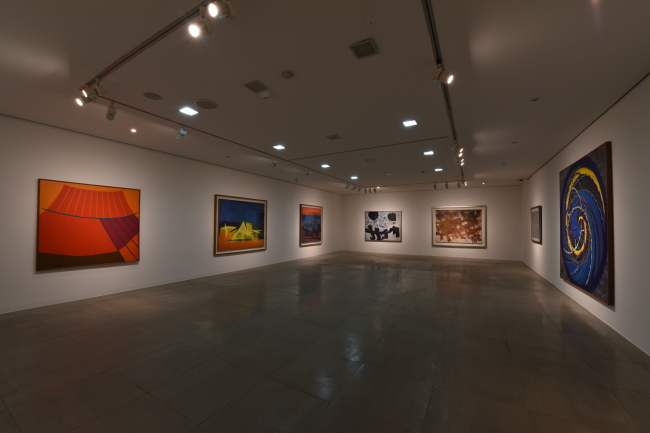 The exhibition is an overview of the development of the Korean abstract art trend since the 1960s. It showcases 60 paintings by 18 artists at the gallery’s two exhibition halls in Samcheong-ro. 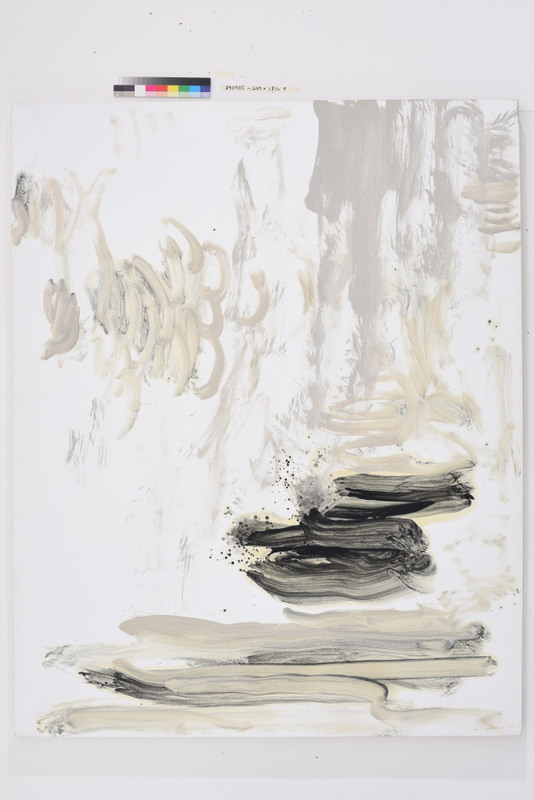 Participating artists range from late artists who led the early abstract art movement such as Lee Ung-no, Nam Kwan, Kim Whanki and You Young-guk, and those who still produce inspiring paintings including Lee Ufan, Kim Tschang-yeul, Park Seo-bo and Ha Chong-hyun. Most of the paintings on display were initially showcased and sold by the gallery. About 80 percent of the paintings on exhibit are on loan from private collectors, with only 10 percent of them consisting of new work. “This is a museum-level exhibition. No other galleries or museums would be able to bring these artists all together. It was possible for Gallery Hyundai because it worked with these artists from the beginning stages of their career,” said Song. Highlights include the work of Lee Ung-no and Nam Kwan, who simplified calligraphy and reinterpreted it into abstract expression, and the work of Korean monochrome dansaekhwa artists, including the latest dansaekhwa paintings by Jeong Sang-hwa between 2014 and 2015. The exhibition runs through April 22 at Gallery Hyundai in Seoul. For more information, call (02) 2287-3500.